Article Excerpt: "... The branch at 4200 Rideout Road will close Nov. 5 and its retail operations will be consolidated with the Redstone Arsenal Branch ..."
Many of our readers have expressed concern relating to the possible consolidation or partial consolidation of mail processing operations at the Huntsville Processing and Distribution Facility located at 3408 Wall Triana (35813) after an article from the Huntsville Times on November 9, 2010. 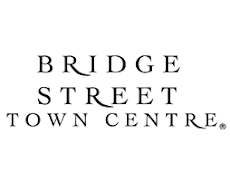 Meeting overnight service standards because of possible late mail arrival. Processing mail in a two-story operation. Usability and layout of excess space at the annex. Age and condition of facility and equipment. 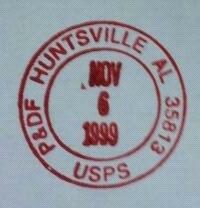 Obviously, the report provides evidence that implementing any consolidation or partial consolidation of the Huntsville Processing & Distribution Facility would possibly cause a delay of overnight service "because of possible late mail arrival" as well as "Inefficiencies due to possibly splitting same mail operations between the plant and its annex." The report also states that the Huntsville facility is owned by the Postal Service but the annex in Birmingham is leased. With this being said, it would not be in the best interest of Huntsville, Alabama for the USPS to consolidate the facility. In fact, the public outrage over such a move should outweigh any such action. The Huntsville Processing and Distribution Facility is vital to Madison County and the Rocket City.